For those of you who do not know what it is, it is a writing prompt that I am hosting, every Wednesday, till the end of January. 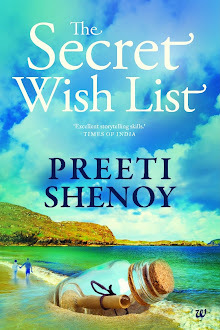 Westland India, will pick one entry and send them a copy of my latest book, The Secret Wish list which has been getting some great reviews. A big thank you to all of you who took part in Wishlist Wednesday number 4. I am sure you will all agree that it is a lot of fun taking part even if one doesn't win the book. It is also fun to read what others have written. Write as much as you want or as little as you want! Please carry my banner for me in your posts, and please link only the relevant posts and not the whole blog. Mam any plans to visit New Delhi???? Thanks Preeti! It is a nice feeling to see that you liked my blog entry. Made my day. I enjoyed participating in a "writing contest" for the first time. Have submitted my post. It was nice to participate. I have been reading your blog from almost 2 years ( silent reader ) , i almost open it daily, The link has been bookemarked . I have read all your books and in fact i have 'pre ordered ' your last two books.. so i have a autographed copy :), i so much wanted to get that picture autographed book so that i can have coffee with you. I loved the books and love your blog also . 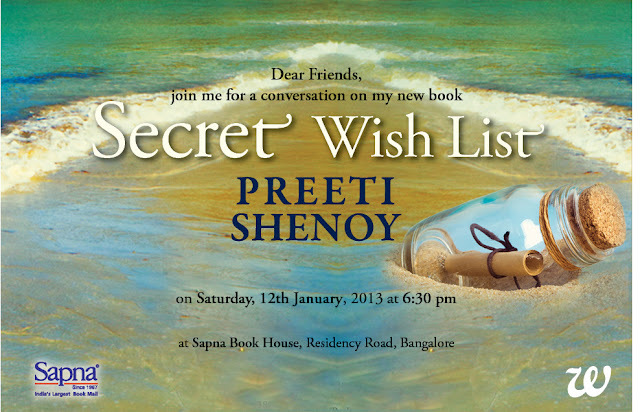 about the secret wishlist , i felt that the book finished so early , I wanted it to go on:) so that i can read more. But yeah.. anyways.. Keep writing .. I like the posts on your blog. It is a extremely good exercise to feel good about yourself. I wrote this post while in office and enjoyed doing it. There was some technical problem with my computer, as it showed Google cannot identify rudraprayga. So I think I posted again.But now it appears four times.Pl.consider only the 17th one and ignore(delete)all others.It may be because of this week, which is special for 'strike' in Kerala and my system is no exception. Submitted my entry...was good fun! 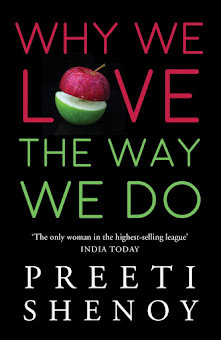 Preeti, submitting my entry here. Keeping in mind the result from last week (hurray!!!! and thanks to you once again), I would like to take myself out of the contest this time. This post is just to experience being a part of the exercise once again. Preeti!!! Just wanted to check if I can still write for this one. Plz plz do relpy!